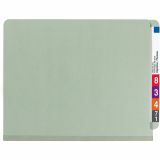 Smead Pressboard End Tab Classification Folder, Letter, 4-Section, Gray-Green, 10/Box - Protect your documents and fingers with Smead's patent-pending, SafeSHIELD Coated Fastener Technology on these classification folders - the ultimate solution to fastener issues, including paper tears, finger cuts, and excessive fastener crinkling. 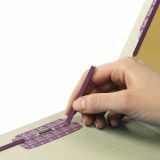 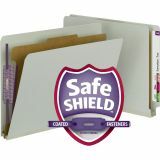 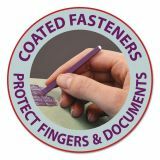 End-tab classification folders let you create a file within a file using a tabbed divider with tab and two 2 SafeSHIELD bonded-style coated fasteners in positions No. 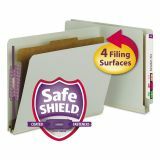 1 and 3 on the front and back panels. 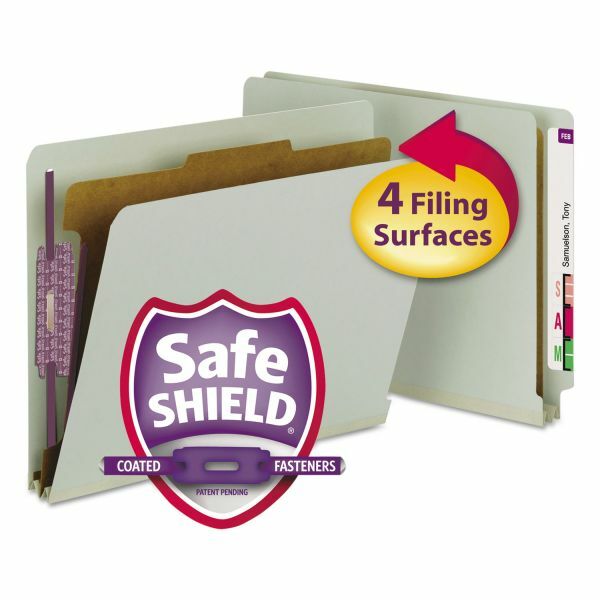 Folder expands up to 2". 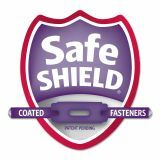 The divider features one 1" SafeSHIELD-coated, twin-prong fastener. 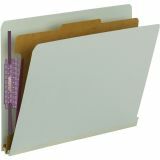 Divider also offers a 3/8" high, 1/3-cut top tab and is made of 17 point kraft stock. 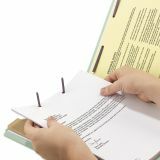 Classification folder's tab is straight-cut."